Rubén Sanchez is a former professional football (soccer) player who now dedicates his time to bringing Transcendental Meditation to athletes around the world. We talked with him about the value of TM in the sports field. Rubén, when did you first hear about Transcendental Meditation, and what made you learn it? RUBÉN SANCHEZ: I was 28 years old and playing professional football at the time. In football, you train a couple of hours a day, and the rest of the time you are free. You go to the gym and so forth. I used some of my spare time to study and watch various documentaries. I started to understand how life works – how I myself work. I wanted to teach this to kids to help them live up to their full potential, to become really great people. By an incredible coincidence, a representative of MUM was giving a talk in my town… that same day! I went to the event and told him that I wanted to go to MUM. He replied, politely, that I had to learn English first(laughs) as I did not speak it well enough at the time! I came home and spoke with my wife about it. I started jumping around on the street because I was so happy that I had really found what I had always been looking for. So you learnt TM once at MUM? RUBÉN SANCHEZ: I didn’t even want to learn TM; I just wanted to go to MUM! However, doing Transcendental Meditation was a requirement. So I learnt TM while still in Spain. We left our apartment, sold our car and everything we owned. We arrived at MUM in 2009. I studied there for a year and a half. I then ran out of finances, but was offered a contract to go back to Spain to play football. I returned to the pitch after two years of not playing a single match. How did it go on the pitch, after your return? RUBÉN SANCHEZ: The whole thing had changed. I had learnt a lot and developed my own way of experiencing sports. I had learnt how to systematize the experience of getting into the flow, of being in the zone. Everything changed with TM. I scored more goals than ever. 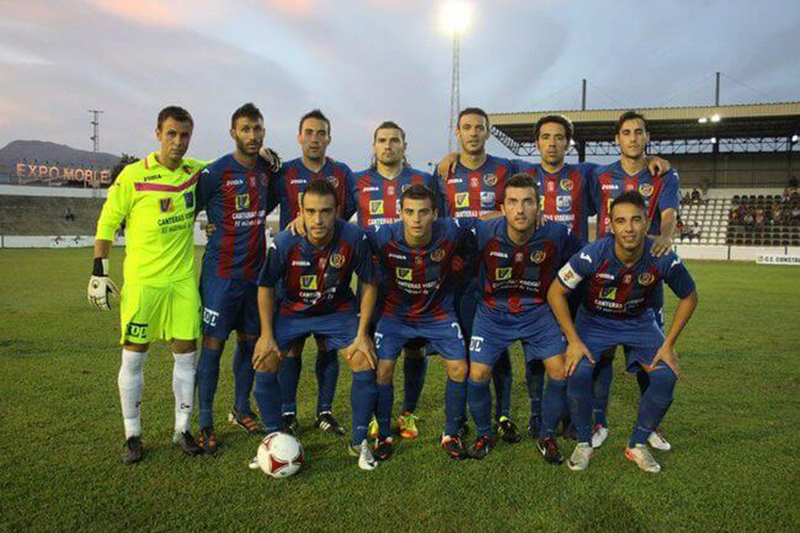 We won the championship, and were promoted to the next level of the Spanish league pyramid. I played for one more year and then quit mid-season. 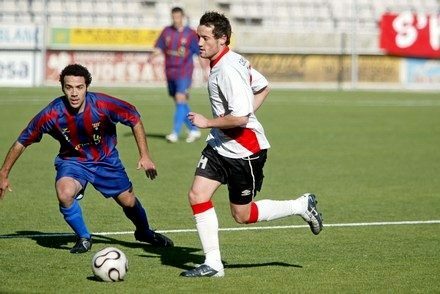 RUBÉN SANCHEZ (left) playing for the Catalonian team L’Hospitalet in Segunda División B, the third level in Spanish professional football. You did that to become a TM teacher. What made you decide to do that? 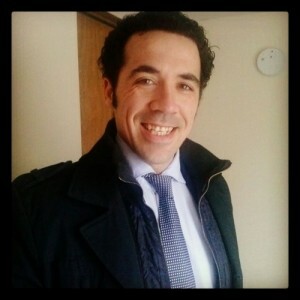 RUBÉN SANCHEZ: I just closed my eyes one day and realized that I had to go to TTC (Transcendental Meditation Teacher Training Course). And that was in the middle of the season! So I said to myself, “Okay, if something unexpected happens – a sort of a message, a pointer – then I will quit my sports career and go.” That same week, I got a red card. I had not been shown even a single one in four years, so this was very weird. What do you remember from the time when you had just freshly learnt TM? How soon did you pick it up? Did it have an impact on you? RUBÉN SANCHEZ: It was like the horse was going full speed, and then suddenly the reins were yanked back. That’s what TM did for me. I was so strained, so stressed out, constantly moving around and doing something – but it was complete nonsense! TM pulled me back, and I was able to see everything clearly for the first time. When you are aggressive and narrow-minded, you dig your heels into a defensive position. And as a footballer, I was a defender. Yet one week after I had learnt TM, the coach moved me into a forward position. I started scoring and giving passes. In a forward position, you need creativity. To have creativity, you cannot run aimlessly around like a chicken without a head. You have to be grounded, able to compute everything – active but grounded. Those were the things TM gave me. I was more composed. I could perform better and be creative, not just destructive. What other advantages did TM give you which were important for you as an athlete? RUBÉN SANCHEZ: I could suddenly do less and accomplish more. When you are more aware of yourself, you don’t run that much – only when you have to. Instead of going here and there, trying to get everything and getting nothing, you start picking up the right things in the game. I started scoring, and my game, in general, rose to another level. Another thing is relationships. For many athletes, their mood depends on whether they win or lose, and then they treat their wife, family, and friends correspondingly. After you learn TM, you start to have a healthy distance from the outcome of the game. You live your life, you do your practice, you enjoy, and you perform. You win – fine. You lose – also fine. And then you notice that all your relationships have suddenly improved! Thirdly, there was a release of all sorts of tension. I became aware of what I wanted from sports and what I didn’t want. That mentality prevented me from getting injuries. What happens is that players keep pushing until their mind and body are disconnected; however, they themselves are usually not aware of that before it’s already too late. Once you learn TM, though, you immediately realize when something is wrong. You are able to step back and choose another path. You just understand intuitively, not even having to think long and hard about it. For example, you become aware when you are eating too much, drinking too much, or not drinking enough. All these subtle things. Once you learn to meditate, you know exactly what you have to do at every single moment. Even if you don’t do it, you know that you are choosing not to do it. You take charge of your career, both in terms of its general trajectory and in terms of the day-to-day practical details. Once you understand all of this, you realize why some athletes are professionals, absolutely top players. You realize why some people get to these higher levels. And it is not – like many want to believe – that you need to have good connections or a skillful agent. IN THE DRESSING ROOM: Preparing for a match with L’Hospitalet. Do you think, then, that Michael Jordan was meditating? RUBÉN SANCHEZ: You can be born with different degrees of silence in your physiology. 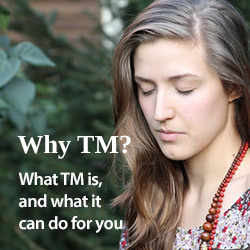 For those of us that were not born with a lot of it, TM gives a systematic way of developing it. We can experience what Michael Jordan was experiencing. I have seen in a documentary how before the games, when everyone around him was chattering in the dressing room, Jordan was always silent. People at that level know what it is, but they are born with it – so they don’t necessarily know how to bring it about or explain it to others. Do you sometimes miss playing professionally? RUBÉN SANCHEZ: I miss the competitiveness and the changing room; the joking with your teammates before the game… I miss the routine. At the same time, I quit my career because I could only influence 22 people, and I could not even teach them to meditate. So I quit. Even if I had been a TM teacher, I would not have been able to convince all of my teammates. Not everyone is ready for it. It made more sense to lead a project promoting TM in sports for the whole world. I suffered so much myself, all these stresses and strains and injuries. And I know now that this should not be the way to go in sports. Doing TM separated me from my career while connecting me with the real meaning of it. It gave me the space to reconnect with it on another level. Transcendental Meditation changed me. It changed my game. And it gave me my life.